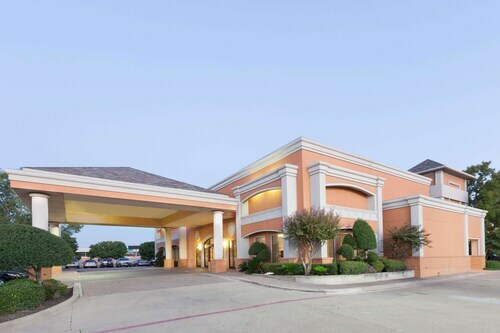 This Irving, Texas hotel is 2 miles from Dallas-Fort Worth Airport (DFW), 4 miles from the Grapevine Mills Mall, 16 miles from Cowboys Stadium, and 18 miles northwest of central Dallas. Situated near the airport, this motel is within 6 mi (10 km) of MacArthur Park, Grapevine Mills Mall, and Irving Convention Center. Legoland Discovery Center and Thomas Jefferson Park are also within 6 mi (10 km). 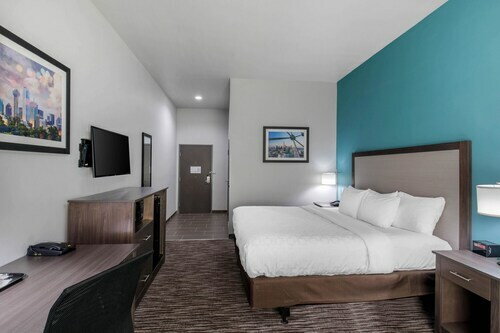 Situated near the airport, this motel is within 6 mi (10 km) of MacArthur Park, Grapevine Mills Mall, and Irving Convention Center. Legoland Discovery Center and SEA LIFE Grapevine Aquarium are also within 6 mi (10 km). 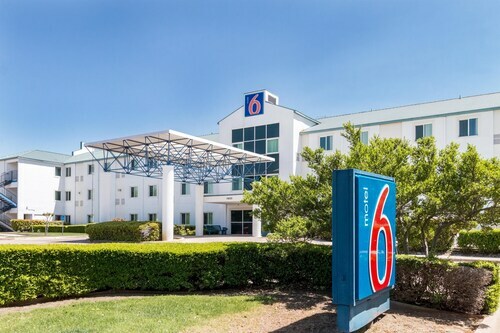 Located 2 miles from Dallas/Fort Worth Airport's north entrance, the hotel is 5 miles from Grapevine Mills mall, 7 miles from Las Colinas, and 11 miles from Texas Stadium.